All information contained herein is intended to assist persons attempting to obtain or research a purebred dog. All listed contacts are members of Basset Hound Club of Southern California, Inc. and are expected to follow the club’s Code of Ethics and breed as close as possible to the American Kennel Club Standard for Basset Hounds. Most are working toward producing their next generation of basset hounds for competition in AKC Conformation in dog shows. Some are also involved in other AKC events. 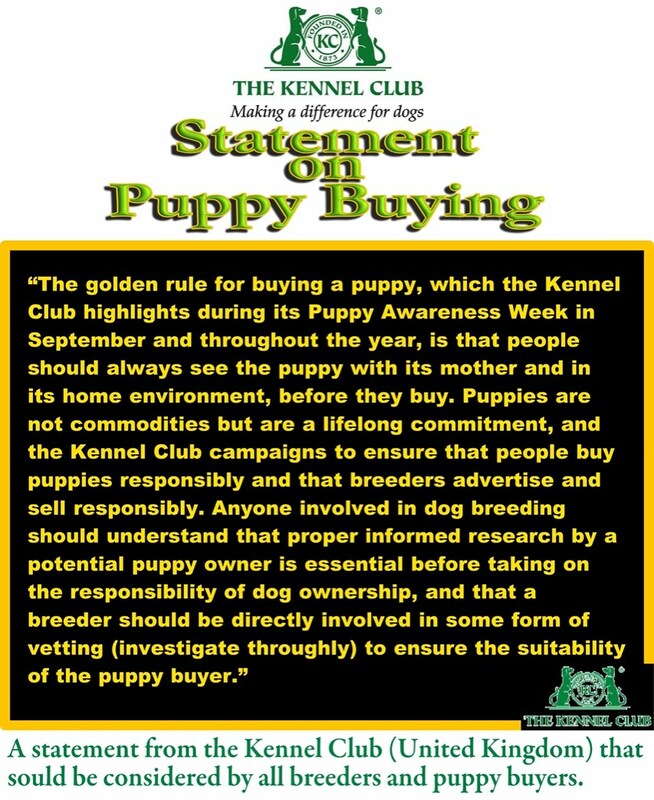 Please do your due diligence in selecting a breeder if you plan to buy a puppy no matter who they are or what organizations they belong to. Club membership does not garantee that a breeder is responsible. Please read all the information on this page and download "Red Flag Warning to Puppy Buyers" before contacting any breeder. If you’re considering buying a basset hound for your family you may wish to contact one of these breeders or see them at a dog show. They all register their dogs with the AKC. Please understand that conformation dog shows were created for the evaluation of breeding stock. At shows dogs are judged against the Standard for their breed by licensed AKC judges. The breeders listed below are all actively involved in showing their dogs at AKC Dog Shows. A list of local dog shows can be found here. Except where noted these breeders are in Southern California. · If you’re here you already have a good start. According to the American Kennel Club (AKC) “Local breed and all-breed clubs are an excellent place to find a good breeder.” But just because people are club members doesn’t make them a good breeders. It is still up to you to do your homework. · A breeder that truly cares about their dogs is liable to ask you as many questions as you ask them. Don’t be offended. They are simply trying to assure that their dog is a proper fit for your lifestyle. Some breeds and individual dogs are a better fit for some families than others. · Ask questions before you go out and see the puppies. It is much easier to walk away without a cute ball of fur sitting in your lap, especially a basset hound puppy. · Check for American Kennel Club (AKC) Registration papers. Currently there are several bogas dog registries claiming to register purebred dogs. Only the AKC requires proper proof. Check out our AKC Registration page for more details on registration and our information on Responsible Breeders. Denotes breeders who may have puppies and/or older bassets available or puppies are on the way. The webmaster, however, can not guarantee the accuracy of this information. The AKC Breeder of Merit Banner above denotes BHCSC Member Breeders who have qualified and applied for the AKC Breeder of Merit Program and have been accepted by the AKC. There are also different levels of BOM based on the number of AKC Champions a breeder has produced. · Most breeders require an appointment in order to see their dogs. Therefore, it is imperative that you contact the breeders prior to going to see their dogs. · Each breeder listed reserves the right to approve all homes and has no obligation to sell to any individual. · If ...you buy a pure-bred dog that you are told is eligible for registration with the American Kennel Club, you are entitled to receive from the seller an application that will enable you to register your dog. · If...the seller cannot give you the application (some breeders withhold the application until they receive proof that the dog has been spayed or neutered), they should provide full identification of your dog in writing/printed pedigree, signed by the seller, consisting of the breed, the registered names of your dog’s sire and dam, your dogs date of birth, the name of its breeder and the AKC litter number. · If the breeder cannot provide you with the puppy’s proper AKC identification, DON’T BUY THE DOG! IMPORTANT NOTE: AKC registration in no way relates to the quality of a dog. Puppy buyers need to be vigilant in their investigation of ANY breeder. Visit their facility and look at their dogs. Ask the breeder to show you how well their breeding stock and puppies match the AKC Standard for Basset Hounds. Make sure that the breeder stands behind their puppies and will be there to assist you. Check out our Responsible Breeders page for more information. Check out: No Papers No Puppy for details. An excellent article by a long time basset hound breeder that appeared in the AKC Gazette. "Dedicated breeders work to produce healthy, well-adjusted, quality puppies because these puppies become the foundation for our next generation and for the breed’s future." LINK: How to get started showing your dog. This is a great new video produced by the AKC which explains the concept of responsible breeders. This is an an excellent video to explain to people what it takes to be a responsible breeder. We highly recommend viewing this video before contacting any breeder and encourage people to support responsible breeders.